Martin Truex Jr. came up just short of a fairytale finish. 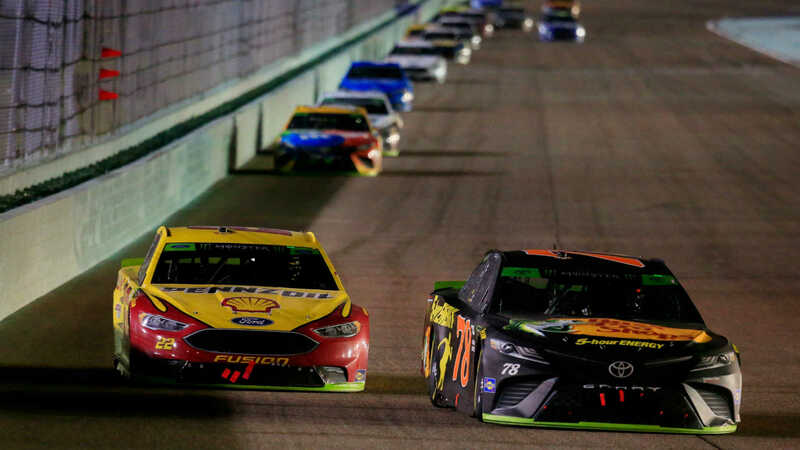 Truex, moving to Joe Gibbs Racing in 2019, tried to go out on a high note with Furniture Row Racing, which is closing shop after the 2018 season that wrapped up Sunday at Homestead-Miami Speedway. He finished second to Joey Logano, who passed Truex with 12 laps to go to win the Ford EcoBoost 400 and the Cup Series season championship. So instead of defending his 2017 title, Truex was left to thank his team for a lot of memories over the past five years. In his time with Furniture Row, Truex Jr. won 17 Cup Series races, eight in his championship season last year. He had 56 top-fives racing the No. 78 Toyota, counting Sunday’s runner-up finish. He’ll drive the No. 19 Toyota for JGR next season, with crew chief Cole Pearn joining him on the new team. So Sunday was for reflection, as Truex reacted not only to the second-place finish but also his five-year run with Furniture Row during which he became a NASCAR star. “I’m gonna miss these guys,” Truex said of his Furniture Row teammates. “I wish we could have won it. We had it. We were able to get the lead, I was just slow for 15 laps. I just couldn’t do it. I don’t know what else I could have done. He passed me so fast I didn’t even have a chance to do anything.